We love snow days at my house. Because it doesn’t snow that often, we’re outside even on bitterly cold, windy snow days. Then, when we’re just too frozen to stay out any longer, we head inside for a bowl of hot soup or chili. 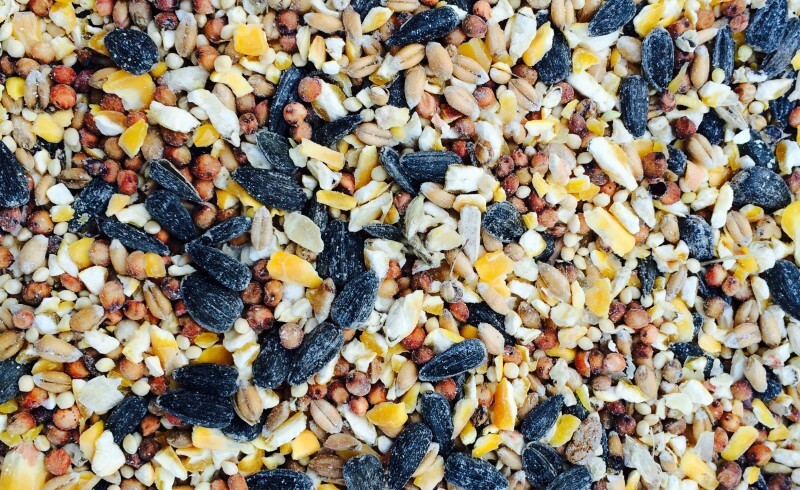 But have you ever wondered what the birds eat during the cold, wintery months? They don’t store up food like squirrels or moles; birds have to find something to eat every day. Sometimes I wonder how they make it when food seems so scarce, but they do. Still, you can help them. 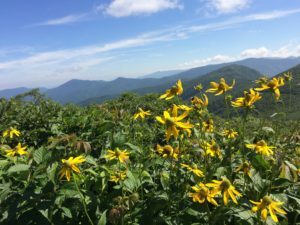 You can make a bird feeder, and you probably already have most of the supplies around your house. 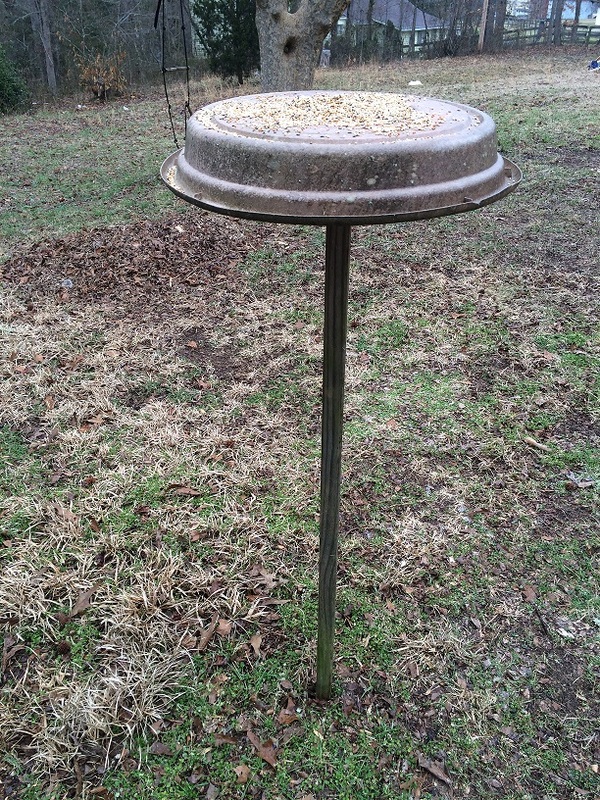 We made our first bird feeder many years ago, and it’s still standing! We used what we had on hand: a large plastic planter dish (that goes with a flower pot) and a long wooden pole. To make the feeder, we first stood the pole up on end. Then we flipped the planter dish upside down so it wouldn’t catch rainwater and set it on the top end of the pole. We then nailed the center of the dish to the pole. 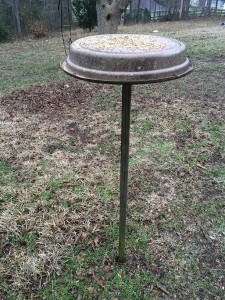 Finally, we set the pole in the ground and put wild birdseed on the dish. Within just a few days, the birds found our feeder. We pulled out our bird guide to see who was dining. We saw a tufted titmouse, chickadees, cardinals, a red-headed woodpecker, sparrows, and more. And they still come! Bird feeders aren’t just for winter! You can help the birds can enjoy an easy meal if you put seed out all year. If you’d like to make a bird feeder, visit our Pinterest page for some ideas to try. 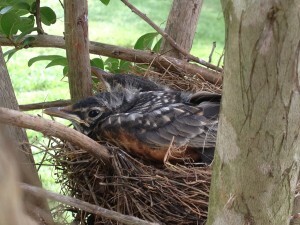 Follow Outdoorosity’s board Projects to Try | Bird Feeders on Pinterest.